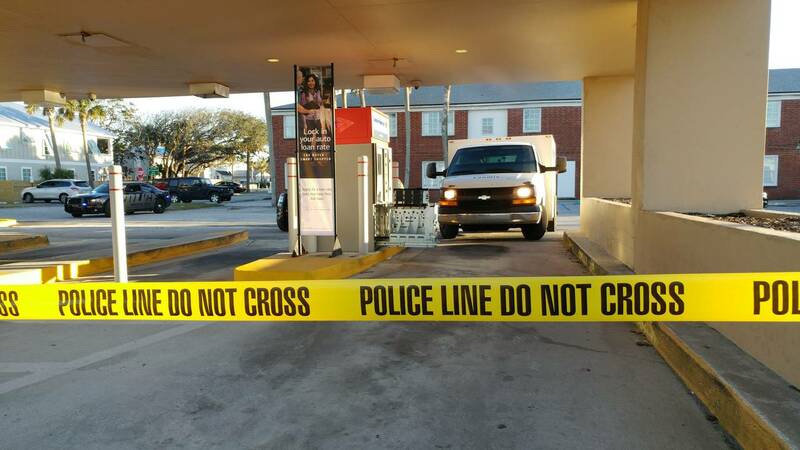 NEPTUNE BEACH, Fla. - An armed robber stole $48,000 from a Loomis armored truck outside a Neptune Beach bank Thursday afternoon, police said. It happened just before 3 p.m. at the Bank of America on Third Street, just south of Atlantic Boulevard. 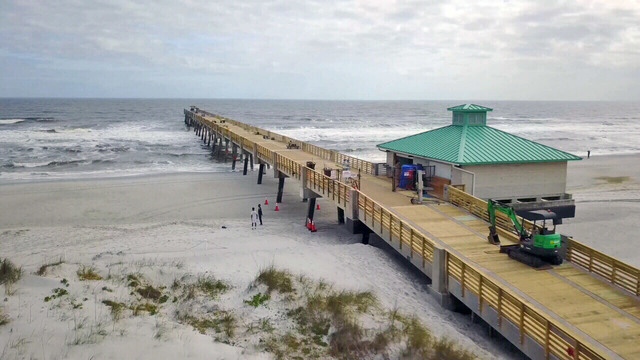 The Neptune Beach Police Department said a black male wearing a gray hooded sweatshirt and holding a handgun walked up to one of the Loomis truck drivers, who was filling an ATM with cash, and demanded money. The guard dropped the money, police said, and the robber ran south with three cases of cash, containing $48,000. Police said another Loomis driver was inside the truck at the time of the heist. News4Jax crime and safety analyst Gil Smith said although both Loomis employees were armed, it's standard protocol for one to remain in the truck. "They usually stay inside just in case something goes wrong. Then they can either radio for help or draw their weapon and deal with the perpetrator if they need to," Smith said. "(This is) so rare because you are talking about two people that are heavily armed and most people are not going to try and rob someone who is armed and trained." 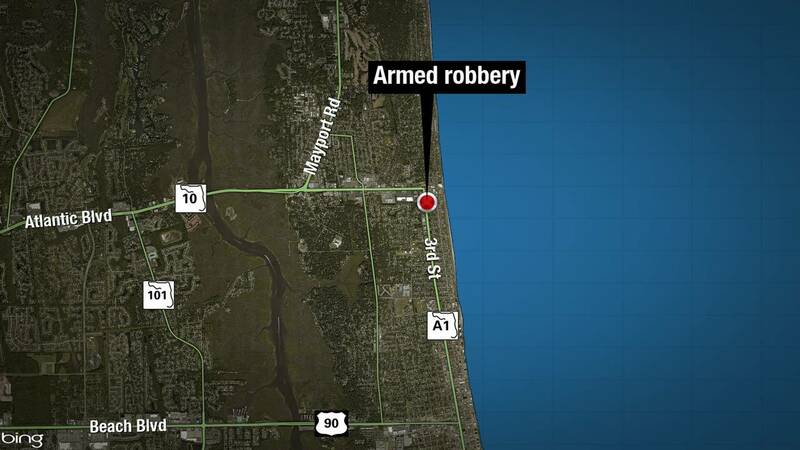 Police described the robber as having a thin build, being about 5 feet 9 to 11 inches tall and wearing a gray hooded sweatshirt pulled tightly over his face with a bright lime green shirt over it. 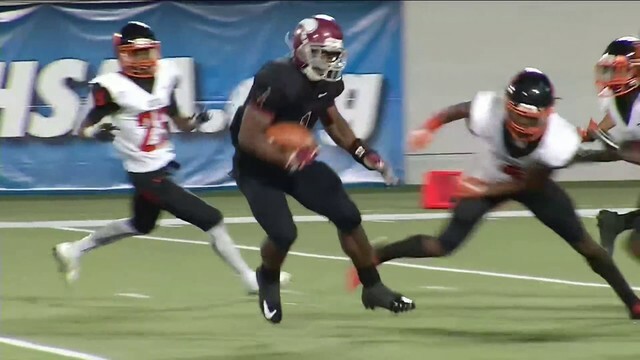 He possibly got in a black Infiniti SUV, police said. FBI agents responded to the scene. Jacksonville Sheriff's Office K-9 units and helicopter were called to help patrol officers search the area. Investigators said they will be reviewing security footage from the Loomis armored truck and the Bank of America. For security reasons, New Leaf School was locked down for a short period of time, but it has since reopened. Officers said they do not believe there are any threats to the community, but asked anyone who sees the robber to not approach him, but call police. To remain anonymous, contact Crime Stoppers at 1-866-845-TIPS. In March 1997, Philip Johnson, an employee of Loomis in Jacksonville, drove off in an armored car with almost $19 million. He handcuffed two other employees and drove to North Carolina, where he stashed most of the money in a storage facility and then fled to Matamoros, Mexico, with only $50,000. Five months later, he was caught when he crossed the border into Brownsville, Texas. Johnson pleaded guilty and was sentenced to 25 years in prison. The rest of the money was recovered. At the time, it was the biggest robbery in U.S. history. Johnson is due for release in 2020.